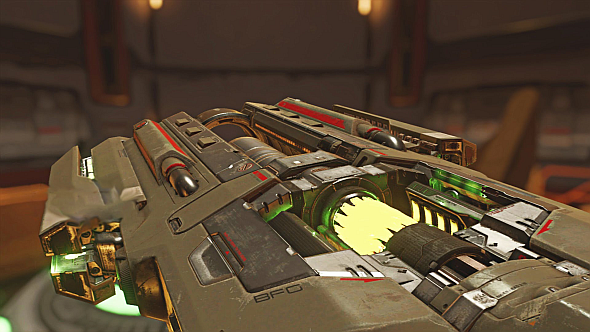 Doom’s iconic BFG is in Rage 2’s Collector’s Edition, which costs $119.99. Other trinkets in the CE include an exclusive mission, access to the Rise of the Ghosts expansion, a steelbook case, and a creepy-as-hell talking head that you can hang on your wall if you hate yourself. It’s not completely clear that the BFG is exclusive to the Collector’s Edition, but as it’s one of the most interesting items in the bundle we’d say it’s pretty likely. Seriously, is anyone sane likely to blow north of $100 for a truck skin? Know that by answering in the affirmative you eliminate yourself from contention. Blow more stuff up in the best shooters on PC. You can pre-order the Collector’s Edition for PC via Amazon – click here if you really, really want that BFG. If you’re a vindictive parent on the hunt for something with which to terrify your offspring, you can get a look at the talking mutant head in Rage 2’s E3 trailer, which was introduced in spectacular fashion by the king of partying, Andrew WK himself. Rage 2 is out in spring next year.